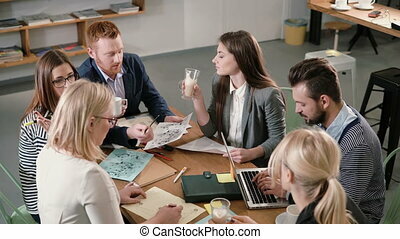 Creative business team meeting in modern office. 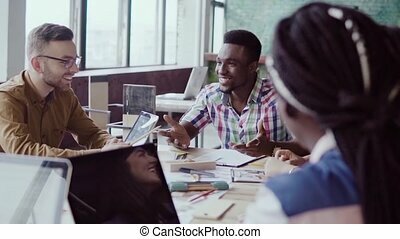 Mixed race group of young people discussing the start-up ideas, laughing. 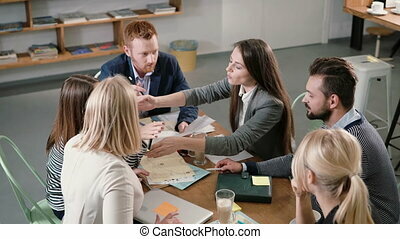 Brainstorming of team, sharing the news. 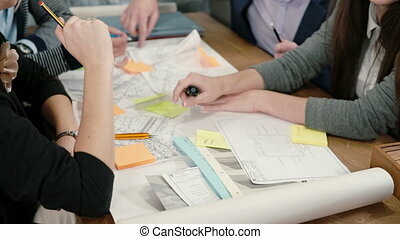 Creative business team of architects meeting in modern office. 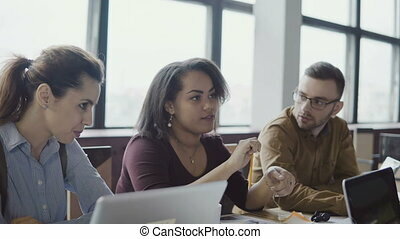 Mixed race group of young people discussing the start-up ideas. 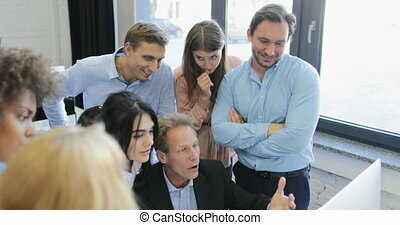 Brainstorming of team, sharing the news. Mixed race group of young people talking, discussing the ideas. Creative business team meeting in coworking space. 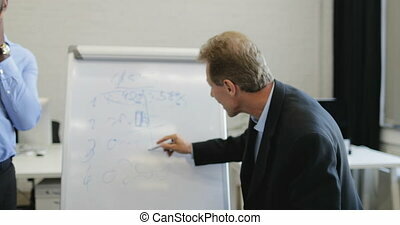 Small start-up company planning the project. 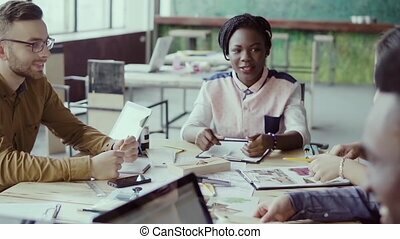 Mixed race group of people on business meeting in modern office. 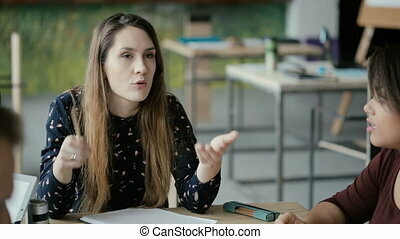 Female team leader giving direction, discussing ideas. 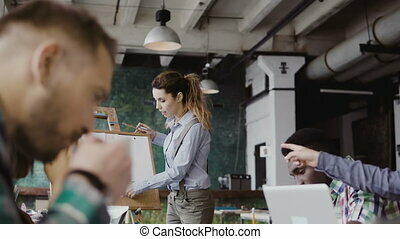 Small creative start-up team working in coworking space. Business team meeting at modern office. 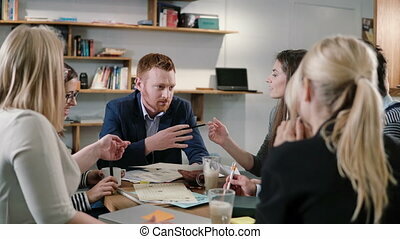 Creative young mixed race group of people discussing new ideas with blonde female manager. Team leader standing near the table and talking with colleagues. 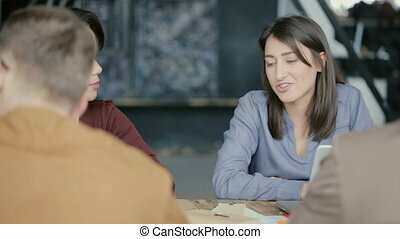 Young business team discussing the financial data. 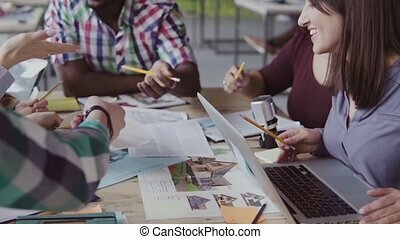 Mixed race group of people working in modern office on start-up project. 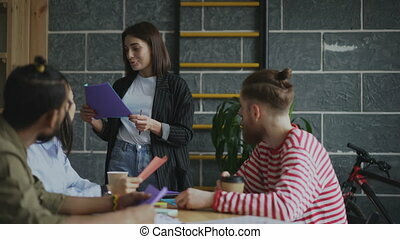 Beautiful woman team leader motivates team to work. 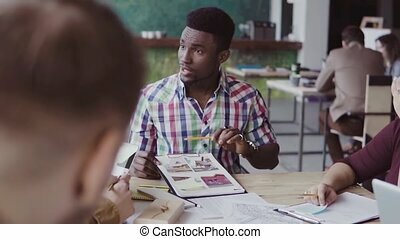 Mixed race group of architects on business meeting in modern office. Male african team leader giving direction, discussing ideas. 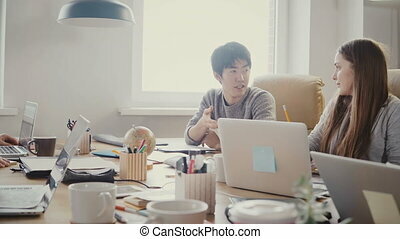 Small creative start-up team working in coworking space. 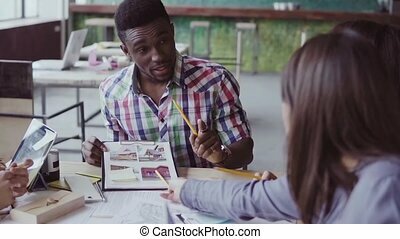 Active discussion of young mixed race creative team. 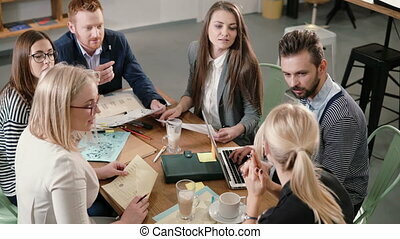 Business meeting in modern trendy office, brainstorming of group of people. Coworking space for teamwork. Close up brainstorm group of young architects. 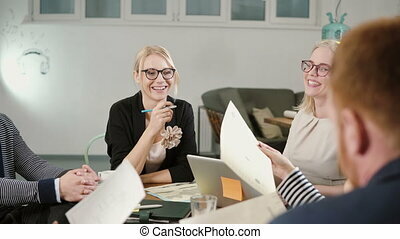 Creative small business team meeting in modern startup office discussing new ideas. 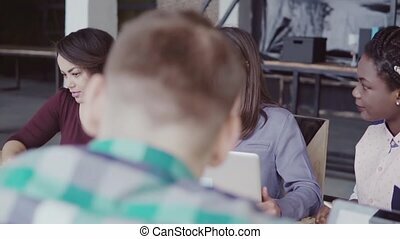 Close up business start-up meeting in a modern office happy beautiful young people sitting around the table and actively discussing new ideas for the project. Creative business team sitting around the table. meeting diverse people participating in creative sustainable ideas in a modern startup office. 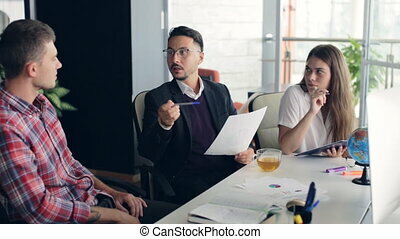 Confident Asian young businessman speaking at multiethnic office meeting. 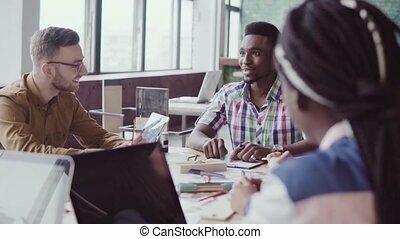 Successful entrepreneur in modern coworking Mixed ethnicity business people discussing international partnership. 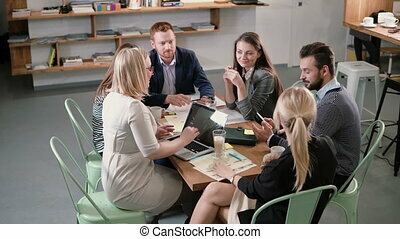 Creative business team sitting around the table and discuss in a modern startup office. woman business leader distributes tasks, and explains the details of the project. 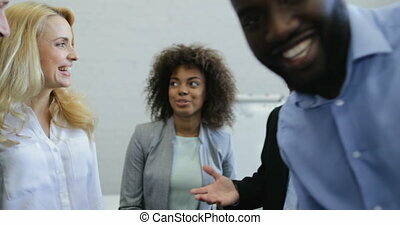 Thoughtful African American woman at team meeting. 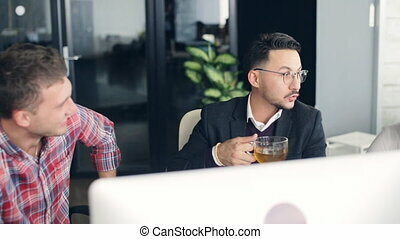 Multiethnic colleagues group working in trendy modern office 4K. 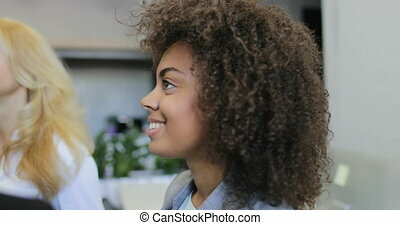 Beautiful black female in glasses sits by the table, listens to people carefully. 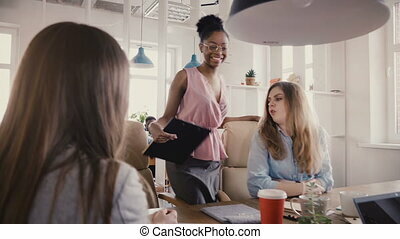 Happy black female manager inspires employees. 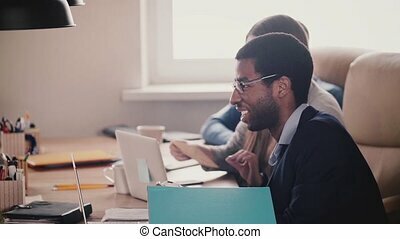 Mixed ethnicity young smiling people work in modern trendy office 4K. 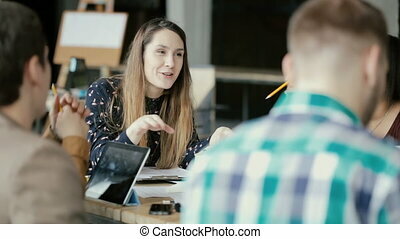 Friendly woman team leader motivates workers, gives instructions and admiration. 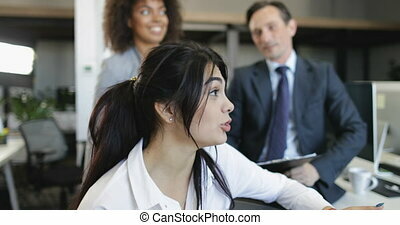 Attractive happy female leader listening to Asian male colleague. Mixed ethnicity business people work in loft modern office 4K. 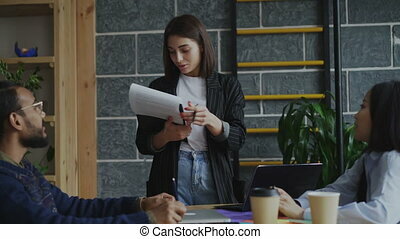 Young freelance worker offering innovative ideas to team executive. 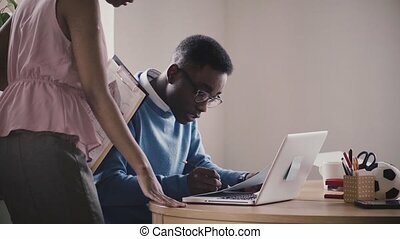 African American young business people cooperate by the table looking at laptop in modern office slow motion close-up. 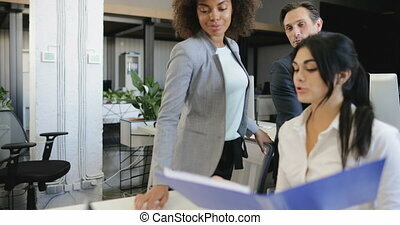 Confident female boss helping and motivating employee in healthy workplace. 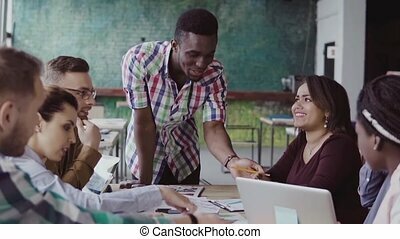 Happy multiethnic millennial business people work together, smile by the table in modern light loft healthy office, slow motion side view. 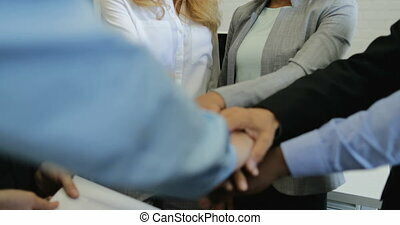 Mixed race investment company project managers teamwork.